CELLINK launches new product to bring fast and sharp live-cell imaging to every incubator. Live-cell imaging is a powerful tool for ensuring successful bioprinting, but most systems are large, costly and hard to use. “One of the most important components of bioprinting is the human cells. When we grow our cells before today’s bioprinting experiments, we place them in an incubator, a cabinet that caters to an ideal cell culture environment with the right temperature and humidity where the cells can live and grow. That environment is vital to the functionality of the cells. To determine if the cells are doing well, one must constantly look at them under the microscope. The current market solution forces researchers to remove cells from the incubator, monitor them under a microscope and return them to the incubator. This temperature and environmental change adversely affects the cells. We developed a product to monitor cells in their proper environment. CELLCYTE X is a revolutionary microscope that’s placed in the incubator to monitor the cells both before and after the bioprinting process, offering our customers an ideal cell-culture environment and process.” – Erik Gatenholm, CEO, CELLINK. CELLINK is launching CELLCYTE X, a new platform designed to solve this challenge. 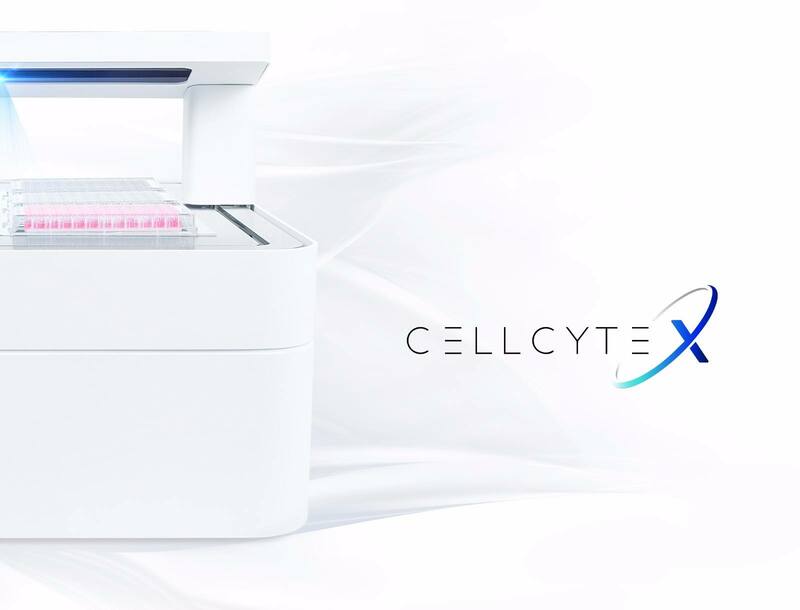 CELLCYTE X combines size, power and intuitive design to equip every incubator with user-friendly live-cell microscopy. The platform remains stationary in the incubator, removing the risk of disturbing cells. Unlike other systems, CELLCYTE leverages cloud-based software to analyze results continuously and provide researchers maximum insight on their experiments. CELLCYTE X scans a 96-well plate in under five minutes, and tracks cell morphology at three frames per second. It features a five-megapixel camera to capture crisp resolutions, and researchers can focus further with up to 20 times magnification. Six well plates support high-throughput compound testing for pharmaceutical and other applications. Launching the CELLCYTE X platform is another step toward CELLINK’s goal of enhancing biomedical research and changing the future of medicine. Further software updates could enable remote cell imaging in real-time. In connection with the development of the system, several innovative solutions have been invented and applied, parts of that technology are now patent-pending. Preorders are available now. Please contact sales@cellink.com for a quote. CELLINK is the leading 3D-bioprinter provider and the first bioink company in the world. We focus on developing and commercializing bioprinting technologies to allow researchers to print human organs and tissues for pharmaceutical and cosmetic applications. Founded in 2016 and active in more than 45 countries, CELLINK is changing the future of medicine as we know it. Visit www.cellink.com to learn more. CELLINK is listed on Nasdaq First North under CLNK. Erik Penser Bank AB is the company’s certified adviser, available by phone at +46 846 383 00 and by email at certifiedadviser.se.